Duchess Kate: A Very Exciting London Sole Giveaway! A Very Exciting London Sole Giveaway! I am delighted to share the news that we are holding our very first giveaway with London Sole. Those of you from Great Britain will be familiar with the brand's UK name French Sole. Regular readers of the blog and fans of Kate's style will know Duchess Kate is a huge fan of the brand and is frequently photographed wearing her London Sole Pirouette Brown Croc Patent Leather shoes. 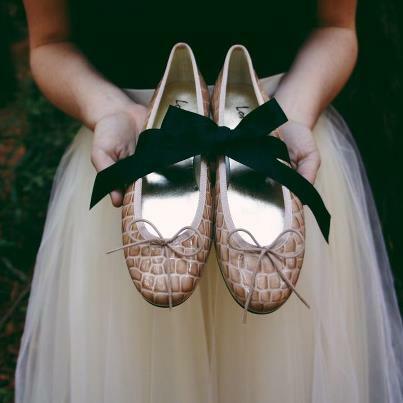 Kate's Brown Croc Patent Leather Pirouettes are a classic French ballet flat with fabric lining, leather insoles and strong elastomere outer soles. They are currently available for $165. Kate's younger sister Pippa Middleton is also a massive fan of the brand and owns the Pirouettes in a variety of colours. Chelsea based shoe designer Jane Winkworth has been designing and manufacturing ballet flats since the late sixties. 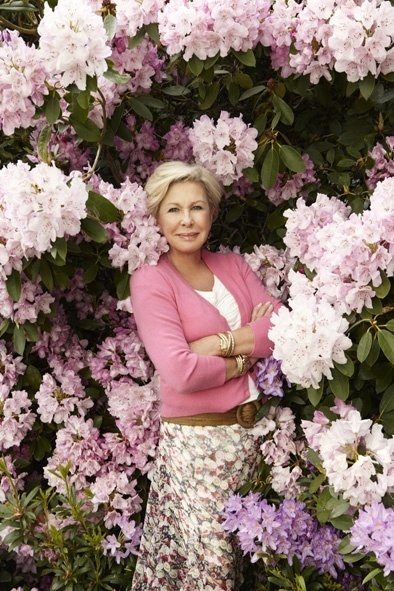 Described by VOGUE magazine as the "Queen of Ballet Flats" it is no surprise Jane's clients have included the late Princess Diana and Princesses Beatrice and Eugenie. 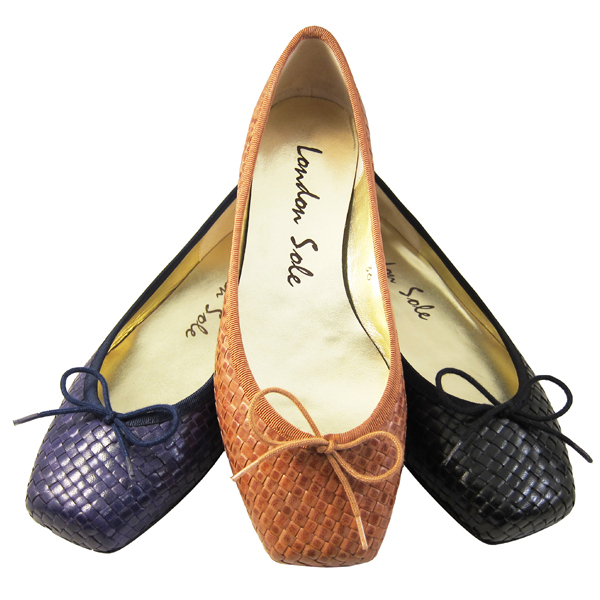 London Sole is considered to be the standard for exquisite ballet inspired flat footwear. With Christmas fast approaching (I'm sure you've all noticed I'm getting into the Christmas spirit quite early this year :)) a pair of London Sole shoes would make the perfect gift or addition to your festive looks. Fashion followers will know flats are all over the catwalk at the moment and are bang on trend for the festive season. The Pirouette in red patent croc. The Henrietta is another favourite of Kate's and described as the 'ultimate in luxury flats'. Spanish made with leather or rubber soles, leather lining and leather insoles. The flats come in a stunning array of colours. Other popular styles include the Mariposa. The cute and comfy Harriet. And the classic square toe Clara which has been described as one of the best work flats by Glamour Magazine. Now back to the giveaway! I'm sure you're all wondering which of the gorgeous flats are to be won. The lovely Maggie from London Sole and myself chose the Pirouette's in two festive colours, the Black Glitter and the Multi Glitter. The winner of the contest may choose which one they prefer. I think the glittering flats are incredibly pretty and will add sparkle to any outfit especially over the festive season. Time for the most important part! You may enter the competition a total of FIVE times. For one entry, leave a comment and tell us if you would like to win the Black Glitter or Multi Glitter 'Pirouette' ballet flats and what items from your wardrobe you would team them with. For a second entry, 'Like' London Sole on Facebook (include this info in your comment). For a third entry follow London Sole on Twitter or Pinterest (Let us know in your comment). For a fourth entry, share the giveaway on your blog, Facebook or Twitter (Again include the info in your comment for the additional entry). For a fifth entry 'Like' the Duchess Kate Blog on Facebook. You can leave a separate comment on the blog for each entry or include info on all your entries in one comment. The competition is open to International entrants. The competition ends next Friday, November 23 at Midnight GMT. The winner will be announced the following day. I will personally record the entries and choose the winner using a Random Number Generator. The 'Pirouette's' are $165 and available in sizes 36 - 42. Please leave a unique username with your comment to ensure that your entry is correctly recorded. I would like to thank Maggie from London Sole (she has been an absolute joy to work with). I'm so in. Such gorgeus flats! And I liked both tis blog and London sole on face book so 3 entries! I'd love the multi glitter! Cute with skinny jeans or a cute dress and tights! I have finished all the requirements and get 5 entries!! One more entry! I followed on Pinterest. Thank you! I would get the Black Glitter flats and I would team them with skinny jeans, a blouse, a blazer, and a scarf! I like this blog and London Sole on Facebook and I also follow London Sole on Twitter. :) That's four entries for me! Great giveaway, thank you so much for setting it up!! I would LOVE to win the Multi Glitter. 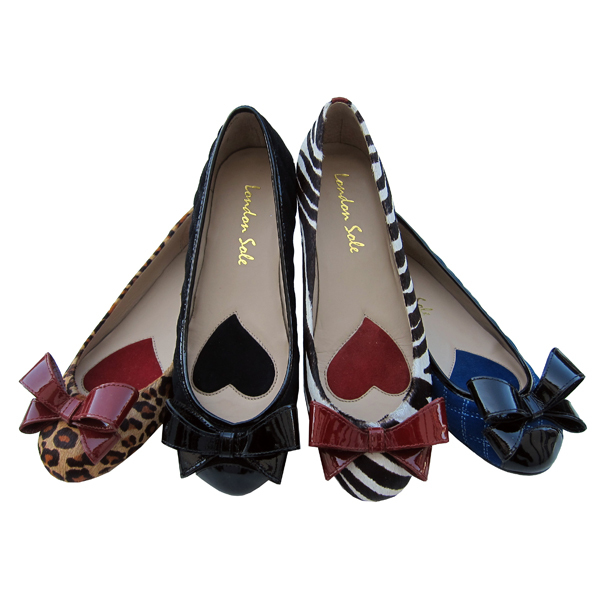 It is one of my fashion DREAMS to be lucky enough to own a pair of London Sole. I have a gorgeous faux suede pencil skirt that just hits the top of my knees with a tiny ruffle at the hem that would really look great with these. Teamed with a black cashmere sweater and woven Michael Kors belt they would shine as the star of my outfit! I would like to win the Multi Glitter 'Pirouette' flats! I would wear them with everything! But specifically, I can see myself wearing them with a black wrap dress or a great pair of skinny jeans! I have liked this blog on facebook,I have followed London sole on Pinterest. I also shared the giveaway on my twitter account so Four entries for me please! Four entries for me, please! Two facebook likes that the twitter follow for London Sole. I would wear the multi-sparkle with a sweater and skinny jeans or corduroys.! Love the Black Glitter! Already mentally pairing them with my black lace holiday party dress with tights, and skinny jeans with a cozy white sweater. Now a fan of London Sole on Twitter and Facebook! Changed my mind- Multi Glitter. No, Black. No, definitely Multi Glitter; final answer. Thanks for hosting! And a big thanks to London Sole for sponsoring! Good grief Charlotte how on earth do you go to school study and keep up on your blog? WOW!! Adoreable flats but I really like the boots from the last post. They look warm and cozy. Someone said Lupo was not a good looking dog recently. I must say we have a rescue dog and he has been our little gaurdian angel. If you look in Lupos eyes I'm sure you will see all the love he is given and I'm sure giving back. Remember a dog is a man's best friend. A lot less critical as the rest of the world. I would love to wear the black glitter flats with all of my jeans and sweaters. I already liked the Duchess blog on Facebook, I liked London Sole on Facebook, and I followed London Sole on Pinterest. Such a great giveaway! The black glitter is my favorite :) Would love to wear them with my favorite jeans and black blazer. Very exciting news! I would love the Multi-Sparkle flats, and I would surely wear them with all my dresses, because this is my favourite type of shoes and dresses are my favourite clothing item! 1- leave a comment here: checked! 2- like London Sole on Facebook: checked! 3- follow London Sole on Twitter: checked! 4- share the giveaway on my twitter account: checked! 5- like the Duchess Kate blog on facebook: done! My entry on Twitter is @a_hemacia and my Facebook account is Ana Bárbara Grecco Ribeiro. I forgot to add these informations! sounds exciting! I would love the multi-sparkle flats, I would wear it with most of my dresses, sweater/jeans, blazer! The black glitter is gorgeous. I work as a makeup artist and have to wear all black and also wear comfortable shoes while applying makeup. These flats would look great with my black tights and black dresses/skirts! I also joined the facebook page! Yay! exciting news! I would like the multi glitter, I would wear it with my dresses, sweater/blazer with jeans! Awesome giveaway! I like the black glitter! I also followed London Sole on Pinterest. I would wear the multi glitter flats with everything! I also liked both London Sole and the Duchess Kate blog on Facebook! I thought i posted a reply ? I would love a pair of either flats to wear with blk leggings & a cool tee shirt. I like the black glitter, and have followed London Sole on Facebook and Twitter for 2 additional entires. But since Im a data geek may I inquire what Rnd# generator you use/ seed. The logistics fascinate me. I love the black glitter flats! I would wear with jeans and blouse. Liked London sole on Facebook, followed on Pinterest, liked the blog on Facebook. So 4 entries. Thank you for this wonderful opportunity!! I would wear the Multi Glitter Pirouette Ballet Flat with my skinny jeans. I've 'Like' London Sole on Facebook. Followed London Sole on Pinterest. Shared the giveaway on Twitter. And of course, 'Like' the Duchess Kate Blog on Facebook. I love the multi glitter flats! I also followed London Sole on Twitter, and liked them on Facebook, and liked the Duchess Kate blog on Facebook (so 4 entries total). What a great giveaway! I love the multi glitter flats! I liked London Sole on Facebook, liked the Duchess Kate blog on Facebook, and followed London Sole on Twitter (so 4 entries total). My email is lucyvthecat at gmail dot com. Sorry it's me again, I just realized I posted as anonymous. Let's try this again and kindly disregard my previous two comments. I would wear the multi glitter flats with skinny jeans and a black blazer. I liked London Sole on Facebook, liked the Duchess Kate blog on facebook, and followed London Sole on twitter for a total of four entries. I have liked the London Sole Pinterest page and begun following on Pinterest. I would choose the multi glitter flats and would wear them with jeans, dress slacks, and my new maxi length wool skirt! I would love the multi-sparkle flats! So gorgeous yet neutral at the same time. I would pair them with dark wash denim or a cute dress. I love the way Pippa wears her light colored flats with dark tights and a skirt. A great way to winterize the shoes! I'm in graduate school so it would be such a treat to have such pretty shoes to wear! I also liked the Duchess Kate blog on Facebook. I was already a fan of London Sole and I just followed them on Pinterest and Twitter! I would love to wear the multi glitter flats with ankle skinny jeans, a skinny belt, and cardigan. So cute! I like London Sole on Facebook. I like Duchess Kate blog on Facebook! I would so love to rock the Black Glitter with skinny jeans, animal print belt, white button down and my cashmere jacket. Last but not least lovely red lips. Also, sorry, I "liked" London Sole on Facebook and the Duchess Late on Facebook. 1)I would love a pair of the black flats to wear w a comfy concert tee shirt& tight black leggings. 5) Liked & Shared Blog page on Facebook as well . I liked & shared the blog on Facebook. It would be very special to win a pair as i was in London on the Royal Wedding day . The multi glitter are soooo cute! I liked london sole and the Duchess Kate blog on Facebook and London Sole on Pinterest! I love the black glitter flats! I'd wear them with skinny jeans or a dress. Fabulous! I would love the black glitter pair to wear with skinny jeans or winter dresses and tights! I also liked London Sole on Facebook, followed them on Pinterest, AND liked your blog on Facebook. Thanks for doing this! I would love the black glitter ones! Seeing as I wear alot of darker colors anyway, they would go nicely with alot of pieces in my wardrobe. Specifically this awesome flower print peter pan style dress I recently bought. 4 entries for me please! This comment, I had already liked London Sole on FB and followed the brand on Pinterest and I just shared it via Twitter! I like the black glitter flats and would wear them with jeans and a cozy sweater. I would love the multi! Would wear them with black pants and red top at Christmas! Love the black glitter, especially to wear to the theatre with my parents and husband with my sparkly top and black skater skirt. I have liked them on Facebook. I have shared on FB. And, I have liked the Duchess Kate Blog forever. That's 4 entries for me! I love both pairs, they are lovely! However, I think the black flats would go with more of my wardrobe! I have a great pair of skinny jeans and a black sweater they would go perfectly with, however, I would wear them with anything :) I liked London Sole on Facebook and followed them on Pinterest! I tweeted about the contest: https://twitter.com/ImSarahBonney . I also followed the Duchess Kate blog on Facebook, been following the blog for awhile now. Now I'm keeping my fingers crossed :) Thank you! 1: I'd love the black pair! I think they could be dressed up or down easily. Entered four times; 1,2,3, and 5! I LOVE the Multi color glitter! Stunning and can wear year round! 1. 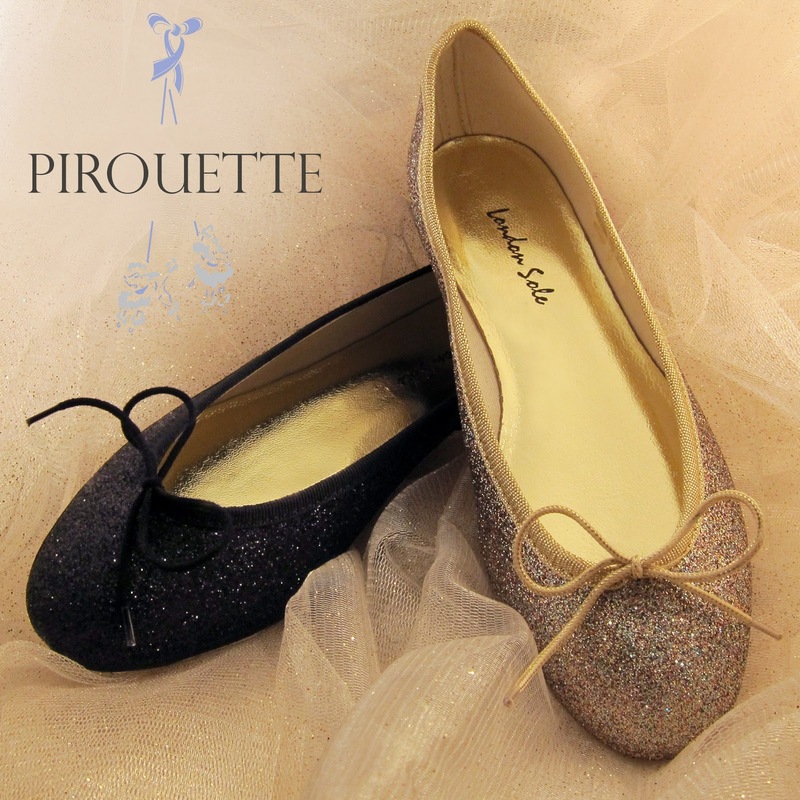 I would LOVE to win the Black Glitter 'Pirouette' ballet flat--they'd go great with my white jeans and navy blazer! 2. I Liked London Sole on Facebook! 3. I'm following London Sole on Twitter! 4. I shared the giveaway on my twitter! 5. I liked Duchess Kate Blog on Facebook! I would love the black flats and I would wear them absolutely with everything! I live in skinny jeans and long tops, these would look smashing with skinny jeans. I believe that is all 5 entries! I usually do not enter these giveaways but I cannot pass up the opportunity for these great shoes. Thank you so much for doing this giveaway. I wish GOOD LUCK to all who enter. I would like the black glitter and would wear them with everything skinny jeans, slacks, skirts and dresses. Sign me up for four entries please. I liked London Sole on Facebook and Pinterest as well as liked the Duchess Kate blog on Facebook. Thank you for such a wonderful blog and an awesome giveaway!!! The Multi Glitter Pirouettes would bring joy to my cashmere robe as we open our presents on Christmas morning! I also liked London Sole and the Duchess Kate blog on Facebook, where I also shared this contest information. As someone who lives in Brooklyn, black glitter flats all the way. I liked London Sole & Duchess Kate on Facebook & followed London Sole on Twitter! As a Brooklynite, black glitter flats all the way! 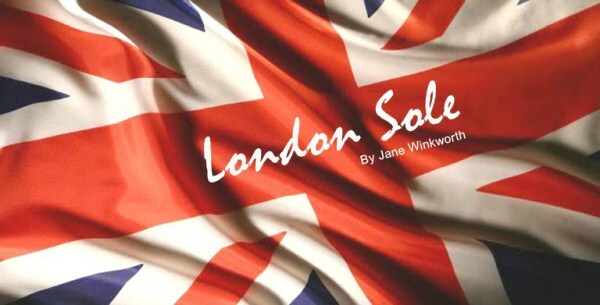 I also liked London Sole & Duchess Kate blog on facebook & followed London Sole on twitter! The Multi Glitter Pirouettes would look fetching peeping out from the hem of my cashmere robe as we open our gifts Christmas morning. I have liked both London Sole and the Duchess Kate blog on Facebook, where I also shared information about this contest. 1.) I would adore the black glitter flats to pair with skinny jeans and black pea coat, and pink satin cocktail dress when my feet need a break from pumps. 2.) I liked London Sole on facebook. 3.) I now follow all London Sole's boards on Pinterest. 4.) I shared the contest post on my facebook wall. 5.) I liked the Duchess Kate blog on facebook. My birthday is on the 24th, winning these flats would be the perfect gift for my 23rd! Entry #1: I would probably say the black glitter shoes as I think they'd be much more wearable with my wardrobe of neutrals, but in reality I LOVE the multi glitter flats. I'd probably pair them with jeans and a plain top to let the shoes be the "pop" in my outfit. Entry #4: Shared the giveaway on both our Facebook page and my Twitter! Entry #5: We like your blog on Facebook! Great contest, by the way. Fingers crossed!!! Make that five entries for me. Met all the requirements on facebook and twitter. Can't wait to wear my multi glitter flats with my skinny jeans and a cute jacket. Just the extra sparkle I need. I follow them on Facebook, liked the blog on Facebook, shared the giveaway on twitter, follow London Sole on Twitter and would LOVE the multi glitter flats! I liked both on Facebook, follow Lindon Sole on twitter, tweeted about the giveaway, and would love the multi glitter flats. I forgot to say I'd wear them with black skinny jeans and a chunky sweater or a sleek trench. Loving the multi glitter! I'd pair it with shimmery black tights - perfect for the holiday season! Entry #1: Black Glitter 'Pirouette' ballet flats! I'd wear them with skinny jeans and a cute sweater...great outfit for shopping! Entry #2: LIKED London Sole on FB! Entry #3: FOLLOWING London Sole on Twitter! Entry #4: SHARED giveaway on Facebook! Entry #5: LIKED Duchess Kate Blog on Facebook! I would love the black glitter. I liked London Sole and Duchess Kate, I shared on Facebook and Pinterest! I would love the black glitter. I shared on Facebook, liked London Sole on Pinterest, liked London Sole and Duchess Kate on Facebook. All the bases covered, now just need some fantastic luck! This is my first time visiting your blog, and it definitely won't be my last. Thanks for hosting such a fabulous giveaway! 1. I'd love to win the Multi Glitter flats to liven up my librarian wardrobe when I attend conferences. They'd look great paired with skinny jeans and an embellished cardigan! 2. I like London Sole on Facebook. 3. I'm following London Sole on Pinterest. I would choose the Multi-Glitter flats since they are versatile enough to go from casual to dressy and I would be able to wear them with jeans, pants, dresses and skits. I've shared this for all five entries. Thanks for providing all of us this opportunity! They are both equally as beautiful but I would love to win a pair of the multi glitter to wear with my coloured skinny jeans. Entry 1: I have wanted a pair of these for months!! I'd wear them in lieu of heels for parties- with my cute cocktail dresses, jeans and blouses, etc. I would choose the Multi Glitter 'Pirouette' ballet flats and would wear them to a blue (skinny) capri pants with a simply white embroidered blouse (like Audrey Hepburn). aaaand I share the the giveaway on Twitter!! aaaaand I shared the giveaway on Twitter!! I love the black glitter flat and would wear them with everything, but my new sparkly dress i got for the holidays comes to mind! You can never have too much glitter. I've also followed London Sole on Twitter and liked both London Sole and Duchess Kate blog on facebook! I love the black glitter flats! I would wear them with everything, but my new sparkly dress I got for the holidays sticks out! You can never have too much glitter! I followed London Sole on Twitter and liked both London Sole and Duchess Kate blog on facebook! ps keep up the awesome work on your blog! I check it everyday and hope for new posts. What a wonderful idea and how sweet both pair of shoes look to me! 1. I want to win the black shoes, so I do Christmas with my narrow red Gerry Weber skirt and a festive, black top. I love the black glitter London Sole flats! I'd wear them with dark jeans and a sweater, or use them to add some sparkle to a holiday party outfit! I also followed the instructions for the other four entries. So excited! I would adore to wear the black glitter with black skinny jeans and a white chiffon shirt! With a grey faux fur coat if I needed to go outside.. I have also followed LS on twitter! How great--love that you're doing a giveaway! I love them both, but I would wear the black glitter flats with just about everything--with black or colored tights and a dress, or with dark skinny jeans and a blouse. The Multi Glitter Pirouettes would look fetching peeping out from under the hem of my forest green cashmere robe as we open our gifts on Christmas morning! I liked both London Sole and the Duchess Kate blog on Facebook, where I also shared details about this giveaway. I would love to win the multi glitter flats, they look golden and in our Olympic 2012 year it has been gold all the way. Looking in my wardrobe I could wear them with anything and everything...good accessories never date. I like the black glitter! I would wear them with my purple coat or a dress. I would wear the black glitter flats with jeans and a black sweater and a colorful scarf! Entry1:I love black glitter shoes.I love to wear them with most of my dresses,coats and white shirt and skinny jeans just like Kate's sophisticated style. Entry n 3: I follow London Sole on Twitter and shared the link of this great contest. I would love a pair of black glitter, Thank you so much for the opportunity. Entry n 4: I'm following London Sole on Facebook and Twitter. I would love a pair of black glitter, Thank you so much for the opportunity. I would like the black glitter flats. They would be nice with my grey dress. I would like to win the Black Glitter "Pirouette" Ballet flats, I would wear them with skinny jeans or a little black dress. I like “London Sole” on Facebook. I liked London Sole on Facebook! I adore the multi-glitter flats! Excellent choices! Hello! I would LOVE the black glitter flats! This contest is great--I've wanted a pair of london sole shoes since seeing them on Kate running through a supermarket parking lot, but living in NYC, it's almost impossible to get them! Good luck everyone! Entry 1: I would love the black glitter flats because I wear so much black for work....I would pair them with slacks, skirts, skinny jeans, and to dress up a casual outfit of jeans and t-shirt per say. They would also be great when I take off my heels....still keeps my outfit dressy. Entry 2: "Liked" London Sole on facebook (sarah scarlino maiello). Entry 3: Following London Sole on twitter (smsm978) and Pinterest. Entry 4: Shared this giveaway on my facebook page and twitter. Entry 5: "Liked" the duchess kate blog on facebook. I love the multi glittery flats and would wear them with my dark navy pants cream top with a colourful scarf. Fabulous giveaway. I would love the multi glittery. Great with dark jeans, grey pants, black pants, cute black skirts. Adorable. This contest is amazing ! Thank you so much ! 1 - I love the multi glitter flats ; I'd love to wear them with all my skinny jeans, my dresses, with all my wardrobe in fact ! They are so beautiful ! Shared on Facebook, and I liked your page. I like the black flats, and think they would look great with dark skinnies, a cream shell and tuxedo jacket. I'm a fan on FB and follow on Twitter. Multiglitter flats would be dreamy with a creamy satin teddie and lux robe replete with a glass of champagne to ring in the new year with my special someone! Thank you for the lovely giveaway.. I'd love to win the black glitter flats. They would go with everything! I have to wear all black to work so this would give me a chance to spice things up! Liked the blog and the London Sole page on fb! I really like the multiglitter flats - they would be a perfect eye-catcher for my work dresses. I follow @LondonSole and shared your giveaway on Twitter (http://is.gd/moVqKd). I love the black glitter flats and would pair them with jeans and a black cashmere sweater. I follow London Sole on Pinterest and have liked them on Facebook. 5. i 'Like' the Duchess Kate Blog on Facebook. I would choose the black glitter if I won although I would be delighted with either. They are gorgeous and so versatile I would wear them with everything! I have shared the giveaway on my Facebook page, "liked" London Sole, "liked" Duchess Kate so together with my comment on here, does that give me four entries? Are your USA readers eligible?! Yes absolutely, each country is eligable. I would like the Black Glitter. They would go great with my oxblood skinny jeans. Love your blog, thanks! More glitter the better--So I like the multi-glitter pair! With jeans and my red suede jacket! I like the giveaway! And prefer the black glitter. Hi! I would love the multi-glitter!! With my little white dress, boyfriend black blazer and gold accessories like my Michael Kors watch. I forgot to put that I liked the london sole facebook page!! I personally would like to win the black glitter 'Pirouette' flats because they can be dressed up for nighttime wear with a classic LBD for a nice dinner out on the town, or they can be dressed down with classic black skinnies and a simple oxford for a put together look that can be worn to work or class. 2. I also liked the London Sole Facebook Page. 3. I followed London Sole on Pinterest. 4. I shared the entry on my twitter page, @SarahLPickett. 5. I liked the Duchess Kate Blog on Facebook. My username for the contest can be: SarahLPickett. Thank you! Also, my email address for my entry above for SarahLPickett, is sarahlpickett@yahoo.com Thanks again! I like the multi glitter pair (I have more than enough black flats :]) to go with all of the browns and navys I have purchased this fall. These shoes would especially look great with my navy skinny pants and cream colored blazer. I liked London Sole on FB. I followed London Sole on Pinterest (sockmonkeyem is my username on there). Love the black flats!!! They would be so pretty with a little black dress for the holidays with red accents! I LOVE the black flats! They would look so pretty with a little black dress during the holidays! Multi glitter...I know of a few holiday outfits those would be perfect for! I would love to win the multi glitter. its perfect for the season! I have a vintage floral dress that i would love the pair it with. Following London Sole on twitter. I like the black glitter flats, very elegant, they will be perfect with jeans and little dresses. I like London Sole on Facebook. Hello Charlotte! It's my first time commenting, but I've been following the blog for a long time now--and you certainly do an amazing job! I would love the Black Glitter flats, and I would love to wear them with skinny jeans and cardigans. I also think they'd be a great choice for holiday parties! It'd be lovely to not have to wear heals, and I'd love pairing the glitter flats with a black glitter dress and tights. I also "Liked" the London Sole Facebook and Twitter page (my twitter name is @KablamoSNLJD), as well as liking the Duchess Kate Facebook page. Thanks for offering such an amazing giveaway! Hi Charlotte! I've been following the blog for awhile now, but this is my first time commenting. You certainly do an amazing job keeping us all updated! 5 Entries here. I would love to win the Black Glitter flats, and would pair them with skinny jeans and cardigans. I also think they'd be great for holiday parties--it would be especially nice to not have to wear heals! I think they'd be great with a black glitter dress and tights. I also "Liked" the London Sole Facebook page and Twitter, shared the giveaway on my twitter (my twitter name is @KablamoSNLJD) and also liked the Duchess Kate Facebook page. Thanks for offering such a great giveaway! I love love love the Multi- Glitter Pirouettes! I would wear them with dark skinny jeans for casual parties! I would love the black-glitter, they look so versatile and I would pair them with skinny jeans but also some dresses when heels are too much! I would love the black glitter, they would go with most of my outfits. I would wear them with my skinny jeans and a sweater. 1. I would like the black glitter and I would wear them with everything! From around the office to out and about for the holidays, these shoes are perfect! 5. Liked Duchess Kate Blog on FB! Thank you for hosting this GREAT giveaway Charlotte. You are the best. I already own a pair of London Sole Henrietta shoes and love them. I would love to win the multi glitter shoes and would wear them with a red dress to my office Christmas party. I liked London Sole on Facebook for my 2nd entry. I like the HRH Duchess Kate Blog on Facebook for my 3rd entry. 1 I like the black glitter and would wear them with skinnies and a sweater like Kate did. 2 I liked London Sole on Twitter. 3 I liked London Sole on Pinterest. 1) multi-glitter for me please. Really pretty and girly, I could wear them day and night! The black Pirouette glitter flats are my favorites. Comfortable. Stylish. Must haves. Forgot to mention I liked the FB page. 1) I would love to win the multi-glitter flats, please. Thanks so much - good luck to all entrants! Thanks so much for sponsoring such an exciting contest and best of luck to all entrants!!! I would love to win the multi glitter pair, they are so cute and would look great with anything and everything. Hi Charlotte! Awesome giveaway. I would love to wear the multi glitter flats with tights, skirts and dresses. I now follow London Sole on twitter and Pinterest and I have loved, not just liked, the Duchess Kate blog on Facebook for a long time. Thanks for what you do! I can be reached at nataliestachon at gmail dot com. I love the multi glitter pair and think they could be so versatile. I would pair them with cuffed skinny dark-rinse denim and a belted tuxedo shirt for a casual date night or LBD over black leggings for a cocktail party. I have the perfect dress to go with the multi glitters and would love to win them. 4) I shared share the giveaway on my Facebook wall. 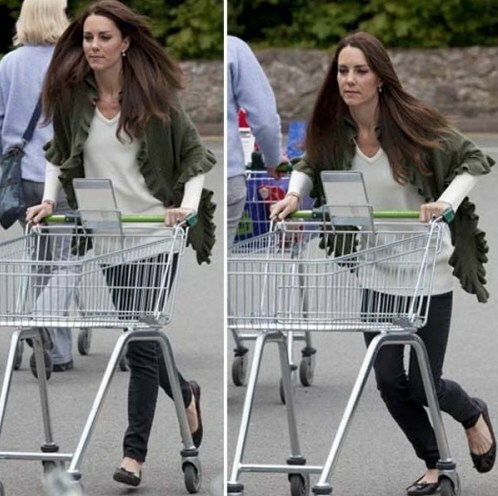 5) I 'like' the Duchess Kate Blog on Facebook. Great job on your blog! I just started following it and I love it. 1)I love the black glitter pair and I would pair them with an elegant stunning dress but also with a casual pair of jeans. 2)I like London Sole on facebook. 3)I shared the giveaway on facebook. 4)I like duchess Kate blog on facebook. I would love the black glitter pair with skinny jeans and an off the shoulder black sweater with fun sparkly jewelry! I love the multi glitter flats and I would pair them with skirts, dresses, and jeans for a neutral look with a sparkly twist.! 3: I am now following London Sole on Pinterest. This is a tough choice! I think I would have to choose the black glitter because they would go with nearly everything in my fall/winter wardrobe. I would most likely pair them with skinny jeans and a sweater, or regular jeans and a cute top. They would add a cute little bit of sparkly to just about anything! i'd like to win the Black Glitter and would wear them with a plain black sheath dress! i 'Like' London Sole on Facebook (The Beautiful Things)! i follow London Sole on Twitter (@beautifulthngs) and Pinterest (The Beautiful Things). I would like to win the Black Glitter Pirouettes. I think I could team them up with just about anything, like with my favorite pair of dark wash jeans and an oversized red sweater, or with my favorite gold sparkly dress. I've got a beautiful navy dress that the Multi-Glitter flats would look beautiful with! Liked both London Sole and Duchess Kate on Facebook, and am following on Twitter. I've got a beautiful navy silk party dress that the Multi Glitter flats would look beautiful with! I like both London Sole and Duchess Kate on Facebook, as well as following on Twitter, so four for me! Thanks! LOVE the multiglitter colour, although the black is fabulous too!! I would love to wear them with some gorgeous skinny jeans as well as some skirts that I think would look great with them. I'd choose the Black Glitter flats and I'd pair it with a soft velvet dress that would be perfect for the holiday season. Hope I didn't double post. Computer acting up. Would love the multi pair to wear with jeans or cream pants and festive top for the holiday time. Have completed all the entry requirements so I get 5 entries!